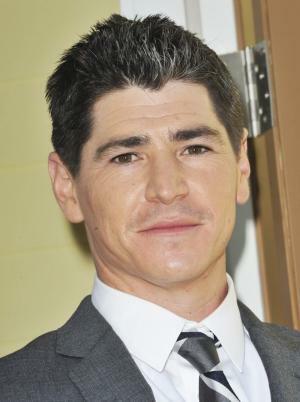 Michael Fishman was born on the 22nd October 1981, in Los Angeles, California USA, and is an actor possibly best known for his role of D.J. Conner in the TV sitcom series “Roseanne” (1988-1997). Fishman has also appeared in series such as “Seinfeld” (1997), “Hitz” (1997), and “Walker, Texas Ranger” (1999). However, being the part of one of the most popular TV shows in the ’90s helped him increase his net worth. Fishman has been an active member of the entertainment industry since 1988. Have you ever wondered how rich Michael Fishman is, as of mid-2016? According to authoritative sources, it has been estimated that Fishman’s net worth is as high as $8 million, much earned thanks to “Roseanne”, but he has also appeared in a few movies and numerous other TV series throughout his career, that additionally improved his wealth. Michael Aaron Fishman grew up in Los Angeles, the middle of three children of Darlene, a nurse and Community College professor, and Nelson, a jeweller. Fishman launched his acting career while at elementary school after he met Roseanne Barr at an early audition. He would remain in the cast of the series from 1988 to 1997, appearing in 221 episodes. This role marked his life and career for good. Fishman matriculated from Orange County High School of the Arts, and was accepted in college to study veterinary medicine, but opted to pursue a baseball career to help raise his younger brother. That didn’t work out for him, so he continued with his acting and appeared as a guest in “Seinfeld” (1997), and “Walker, Texas Ranger” (1999). Fishman also has three movie credits to his name; his debut came in 1997 in “Little Bigfoot 2: The Journey Home”. He also appeared in Steven Spielberg’s sci-fi drama “A.I. Artificial Intelligence” (2001), and most recently in Joseph Mazzello’s sports comedy-drama “Undrafted” (2016). Fishman co-hosted “The Roseanne Show” for two seasons in1998 to 2000, appearing in 54 episodes. However, after the death of a great friend and “Roseanne” colleague Glenn Quinn, Fishman decided to retire from professional acting in 2002. However, he was back four years later, but is without a fruitful and notable role since. His latest project is the movie “Undrafted” that was supposed to be released in 2014, but was postponed until 2016. Regarding his personal life, Michael Fishman has been married to Jennifer Briner since 1999, and the pair has two children together. He is an avid scuba diver, adventurer, and martial artist who likes to perform his own stunts. Fishman also played independent baseball with Japanese and Mexican teams. Michael has worked as a volunteer and spokesman for many charities, including the American Red Cross, Special Olympics, Make-A-Wish, MADD, RADD, The Human Society, World Wildlife Fund, and D.A.R.E International. In any spare time, he is an active coach in the Major League Baseball RBI Program. 1 [on beginning a script] I fight against the white on the page and the conventional thoughts that inevitably fill it first. 3 [on Oprah about loving the crew]: I had about two hundred aunts and uncles who taught me everything I needed to know. The women taught me to be a hopeless romantic and the men taught me to be a strong willed man. 4 My goal is to not only earn good work as an actor, but hopefully write and produce good work for others. 5 I've always tried to be a positive example of the Entertainment Industry and overcome the perceived negative connotations of growing up a "Child Star". It was important to everyone from the show that all of us kids on Roseanne grow up to be responsible adults. 6 Losing Quinny (Glenn Quinn) was a devastating for me. Glenn could light up any room, even the darkest night. His absence made me think about what I wanted in life and how short our time is. He sparked my return to acting. I think about him all the time. 7 On raising his younger brother: "In a lot of ways we grew together. Taking care of him helped me matured. In so many ways he's like my first kid. Matthew would be the first to tell you I was strict and fair. I made all my really big parenting mistakes with him. My kids reap the benefits of that experience". 8 I love being an actor. As a kid you know black and white, anger and happiness. Kids usually don't have the life experience to paint all the shades of gray. I was a happy kid living a dream surrounded by great people on Roseanne. Life teaches each of us nuanced conflicting emotion. I'm stronger personally and professionally from all my life experience. 9 Hopefully I can be one more positive example of a person who grew up in this Industry and handled it with dignity and humility. 10 As a child actor it's important to follow the examples of people like Ron Howard and Jodie Foster who not only have been successful as adults but as members of society. 1 Worked on a Fugitive Recovery Task Force for the State of California (4 Years). 2 Habitat for Humanity volunteer, regularly builds or fixes homes for the underprivileged. 3 Active coach in Major League Baseball RBI Program. (Reviving Baseball in Inner Cities). 4 In association with Audrey Hepburn Children's Fund, Fishman was an International Ambassador for UNICEF giving a United Nations presentation. 5 Michael has been a spokesman and volunteer for numerous charities including Make-A-Wish, American Red Cross, Special Olympics, MADD, RADD, D.A.R.E International, The Human Society, and World Wildlife Fund. 6 Experienced avid Scuba Diver. Assists in teaching scuba diving classes. 7 Regularly visits sick kids at UCLA Children's Hospital as an Rx Laughter foundation ambassador. 8 Graduated and regularly performs at Improv at iO West (Improv Olympics). Writes and performs at Second City. 9 Coaches Baseball and Softball clinics at Major League Stadiums for under privileged youth. 10 Fishman played independent baseball with Mexican and Japanese teams. 11 Returned to acting after Roseanne co-star Glenn Quinn passed away. 12 Primary builder and a designer in the Art Department on Sport Science (2007) Emmy award nominations for "Outstanding Production Design / Art Direction". 13 Performed his own stunts, including a knife fight, with Chuck Norris, in Walker, Texas Ranger (1993) in 1999. 14 2005 Fishman ranked # 52 of VH1's The Greatest (1998)"100 Greatest Kid Stars of all time". Selected by E! Entertainment Television as one of the 50 Cutest Child Stars: All Grown Up (2005). 2012 Ranked #73 of VH1's 100 Greatest Kid Stars. 15 Michael has coached every level of Baseball from T-ball through Community College. At the High School level he won four consecutive league titles (2005, 2006, 2007, 2008) never having a losing season. Managed a semi-pro Independent Korean team. 16 Michael and close friend Mary T. Quigley,set up a memorial fund for one of the co-stars of Roseanne (1988), Glenn Quinn, who died in 2002. 17 Attended Los Alamitos High School and the prestigious Orange County Of the Performing Arts (OCHSA) in the Musical Theater and Technical Theater departments. 18 His wife worked as a day-care-center teacher. After being diagnosed with a rare kidney disorder they became advocates for rare disease awareness. Participated at the Global Genes Advocacy Summit.